New Vendors North Carolina snack, soda and combo vending machines are warranted for up to 60 months from the date of purchase for manufacturing defects under normal use under Vendors North Carolina’s Parts Warranty. Vendors North Carolina’s obligation is limited to replacing or repairing such vending machine parts at the sole discretion of Vendors North Carolina provided the vending machine part is demonstrated to be defective. Vendors North Carolina’s obligation, in the first year, is limited to replacing or repairing such vending machine parts at the sole discretion of Vendors North Carolina provided the product is demonstrated to be defective and returned to Vendors North Carolina. In years two (2) through five (5) under the Parts Warranty, Vendors North Carolina’s obligation is to offer replacement parts with a 50% deductible for each part, returned to Vendors North Carolina, paid by the customer prior to replacement. • Disassembly, repair or alteration of the vending machine by any person other than an Vendors North Carolina or VendNet authorized representative. VendNet USA, Vendors North Carolina’s parts and service division, will be the singular point of contact for all in-warranty and out of warranty service and maintenance requests. On-site vending machine maintenance and service support is provided on as requested basis by the customer. In addition to on-site vending machine support, VendNet USA provides all Vendors North Carolina customers with complimentary lifetime phone technical support as well as complimentary remote repair support services. The Parts Warranty is not transferable and snack, soda and combo vending machines are warranted for indoor use only. 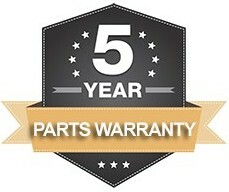 This Parts Warranty is applicable to domestic customers only. Vendors North Carolina and/or its agents are not liable for any incidental, consequential or other damages of any kind whatsoever, directly or indirectly, arising from the use of the snack, soda or combo vending machines whether based upon theories of contract, negligence or tort. By purchasing a snack and soda combo vending machine from Vendors North Carolina, the purchaser agrees to the terms and conditions above. Please inquire with an Vendors North Carolina team member to determine the vending machine parts warranty coverage for specific snack, soda or combo vending machine model.